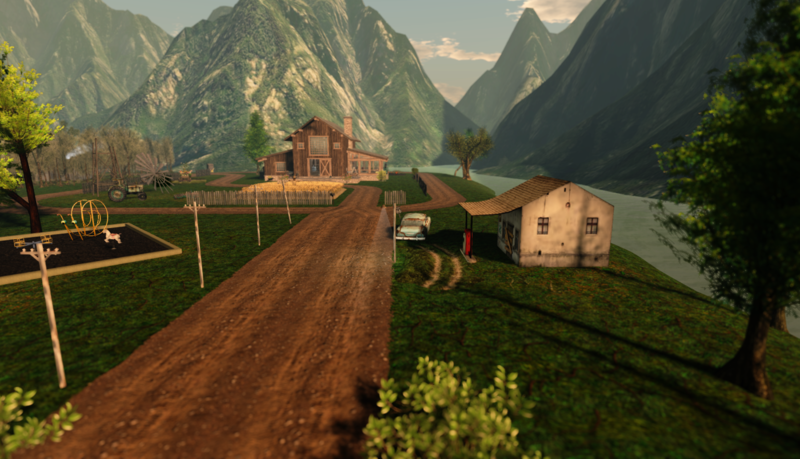 Recently, I caught myself thinking of change and permanence in Second Life, as Randy and I decided to revamp our parcel and redesign part of it. 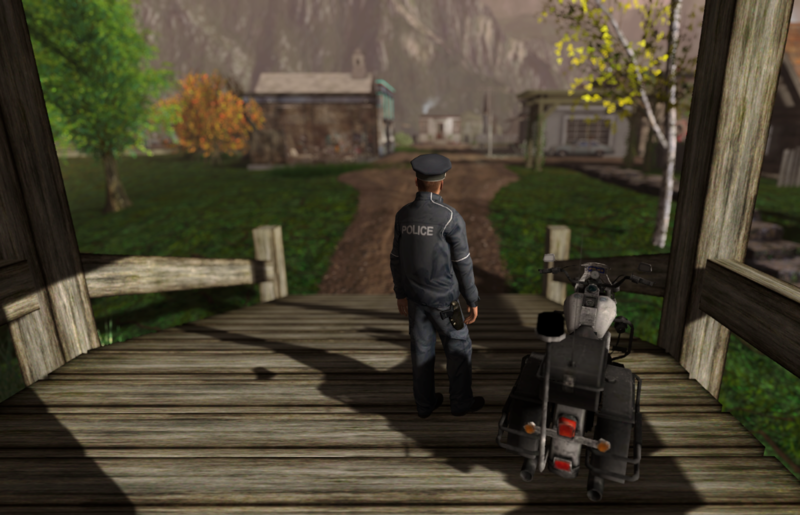 The parcel we live in can be roughly divided into two parts – a rural residence and the small town of Brazen Fair Ends – with a transition section between them. The renovation reached both zones, but it was the town that saw the biggest modification, a transformation of its concept. It became more immersive and more village-like at once, and, though it basically occupies the same area as before, it feels denser now. Randy and I have been using the same concept in our parcel for a while now. The idea is that our house is not just an isolated structure in the middle of nowhere or purely surrounded by nature, but a building that is somehow connected to civilization – even if only to a reduced portion of it or to its boundaries. 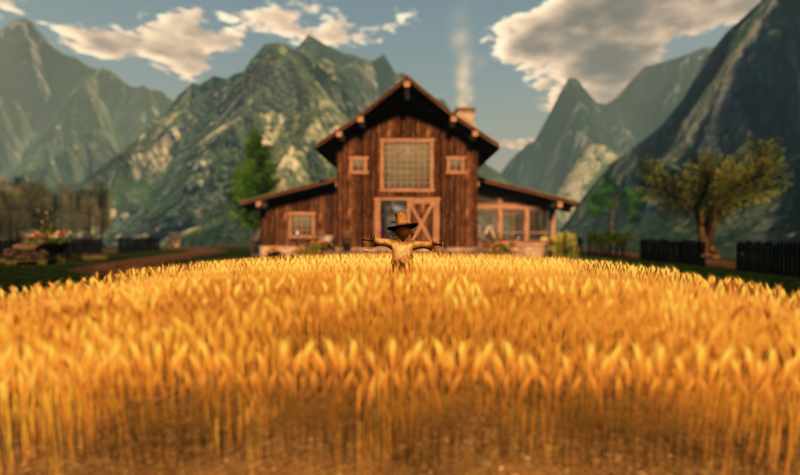 We share a homestead with a couple of friends, so it was clear to us that we could not think of a typical urban area, both because it wouldn’t fit our neighbors’ ideas to their parcel and because we would probably face difficulties to decorate, given the prim capacity we had. So, we opted for a rural area with a small town. 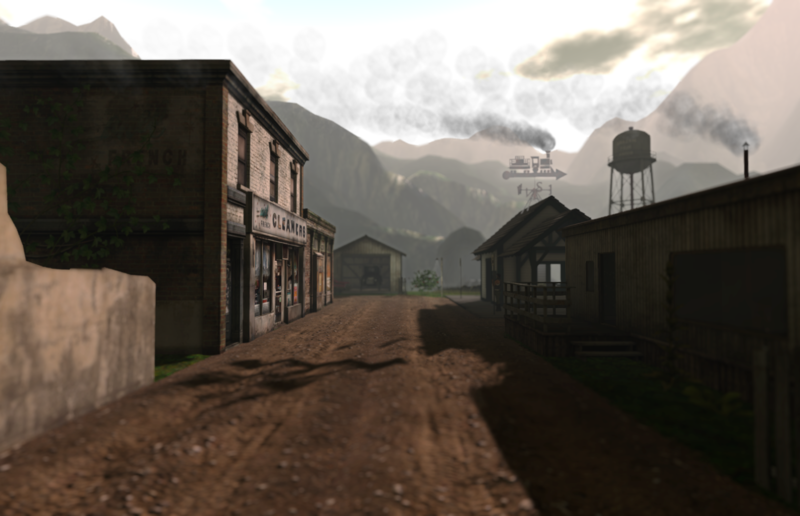 As time went by, the concept of the town evolved in our minds to what we have recently decided to build there. In short, what one will find in that area is a village that may be partially abandoned, or maybe not, but which is certainly in decline. 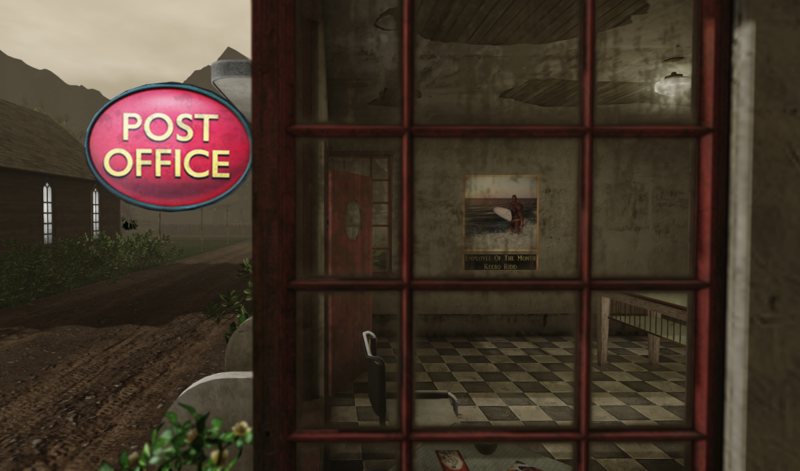 We kept a couple of buildings that were in the former version of the town – particularly, the one that has the TV and the antenna that was made by Randy, and the Post Office, in which we celebrate memory of our late friend Keebo. Anyway, as a whole, the place draws from both the poetry and the poetics of decay. On a first level, in the realm of poetry, Brazen Fair Ends clearly draws from lyricism. In other words, it is intended to evoke emotions in its visitors, both by being immersive and by bringing some surprises, such as a piano on the roof of a building, which certainly adds some romanticism to the remains of a place that has seen better days. The decline which is portrayed there clearly tries to create a nostalgic atmosphere, appealing to the feelings of people who walk around the town. On a second level, what I mean by “the poetics of decay” is a certain drama which is enacted in the town. A place which is converting into ruins tells us a story: worn-out buildings give us testimonies of a process, rusty cars show us that time is passing, broken benches on a public square indicate that things suffer the consequences of different forces. 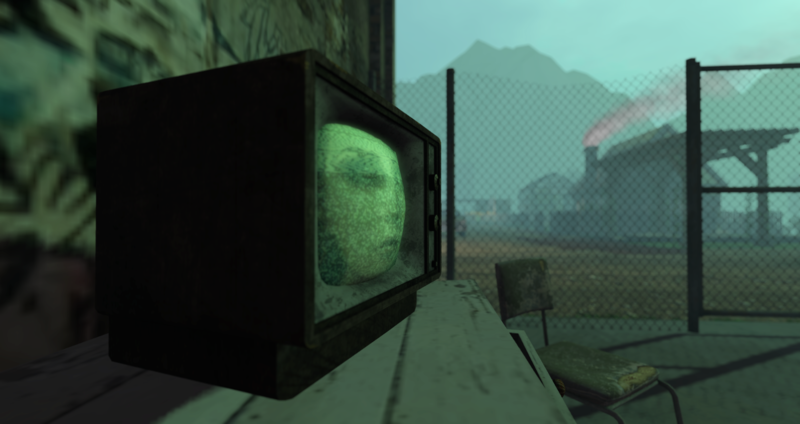 In that sense, the poetics of decay introduce a representation of time in SL, an environment where nothing has to oxidize or putrefy and where avatars don’t get older. Still, it’s a static representation of time, not a dynamic simulation of it: if we don’t actively interfere with the parcel’s decoration anymore, it’ll remain as it is now, it won’t keep decaying. 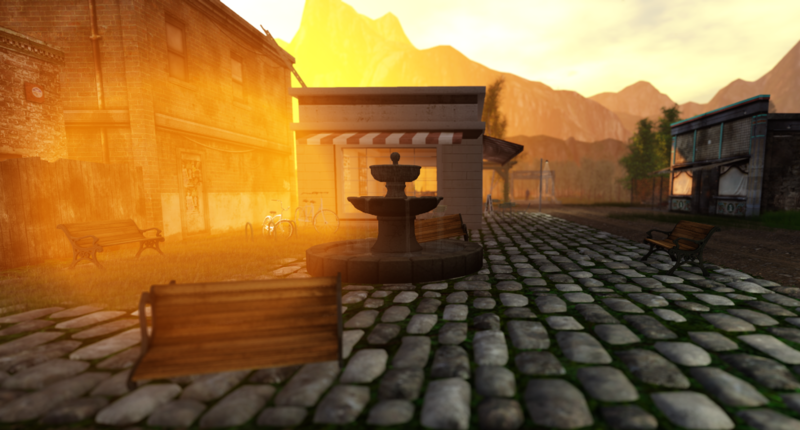 In a certain way, though, it’s clear that things in SL have been changing. Take mesh items as an example. Yes, mesh items have been there for a while, but they have improved a lot since they were introduced. Today, land impact caused by mesh can be really low, which allows people to have more items (and more detailed ones) in parcels with lower prim capacity. Enhancements can be noticed, too, in mesh body parts (heads, hands, feet) and full mesh avatars, which have become more and more popular. Such a development contributes to people being willing to redesign their parcels or sims. Nonetheless, those changes cannot be explained exclusively by technological enhancements introduced in SL. Generally, those advances combine with other factors to produce transformations as the one Randy and I submitted Brazen Fair Ends to. 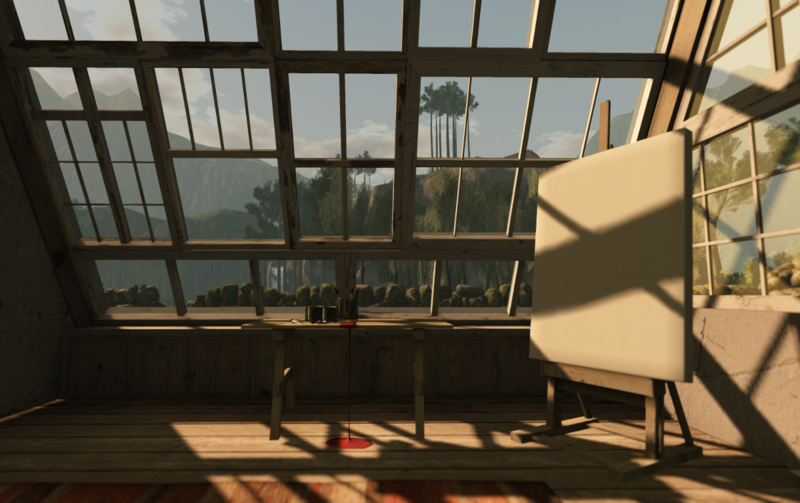 In our case, the idea that we could save prims combined with our desire to create a more immersive environment. And, let’s face it, many of us choose to change things in Second Life because we can – because it’s easier to revamp a sim there than to reform a house or build a new one in the atomic world, because in SL we can go tanned during the day and ginger in the evening, because we can painlessly experiment it all, knowing that, if we don’t like the results, stepping back doesn’t generally require a major effort. 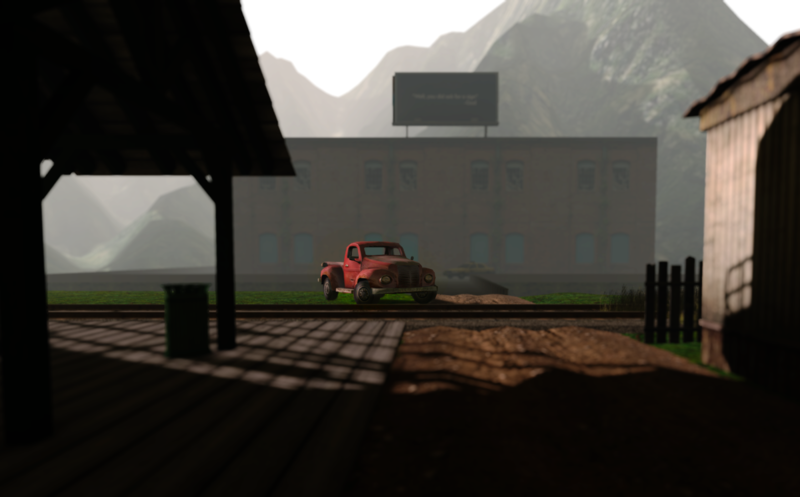 It is true that some places have been preserved in SL, and we tend to be thankful for that. Still, change is the rule. How many times have you redecorated your house, your parcel? How many sims are gone that you liked to visit in the past? How many have changed and are completely different now from what they used to be? How many friends of yours have replaced their hair cuts and colors, their skins, their whole bodies? 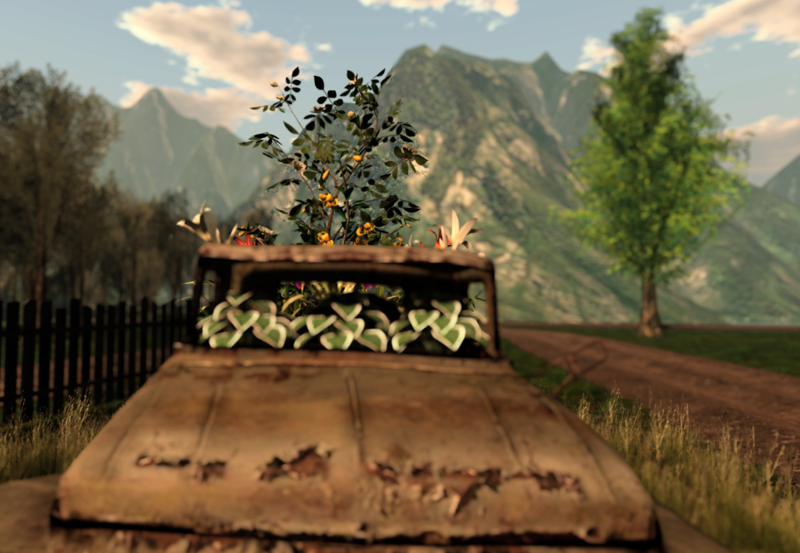 It is curious, though, that all those changes are made in an environment internally protected, as I remarked above, from the flow of time (for, in its internal logic, things and people don’t age in SL, they don’t keep decaying, even if they are portrayed as declining items or beings). Maybe that’s the irresistible triumph of time – or maybe nothing so epic, just our vainness, our instability and the general ephemerality of our days. 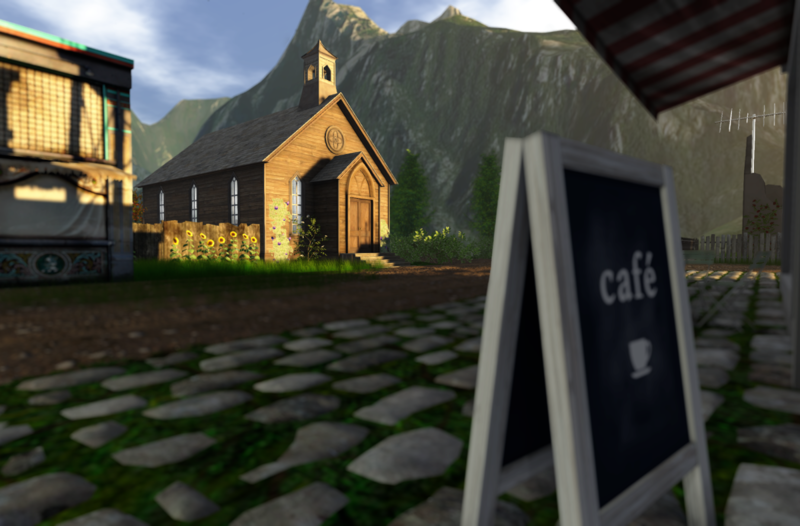 What is a home for in a virtual world? 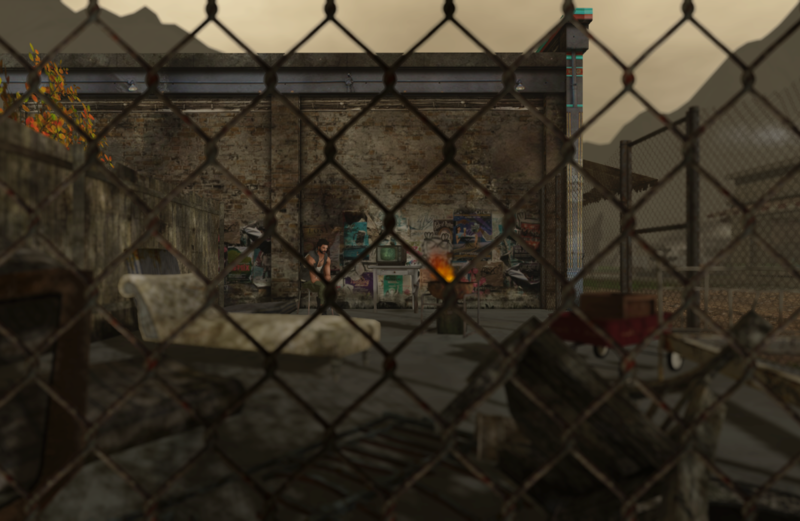 I’m always amazed at just how much people in SL seem to love the decrepit and decayed – it’s not always a beautiful ‘look’. But one that seems to appeal to something deeper. Perhaps there is a need for residents to acknowledge time passing – albeit in the fixed form of pixels and mesh. Things – buildings and furniture, entire sims even – exhibit a remarkable degree of aging and abandonment. But rarely do people want their avatars to reflect the march of Time. I’m sure there’s something deep and profound about those choices, thoughts you have touched upon in this post. Thank you for another well written, and lovingly illustrated, article Ricco. 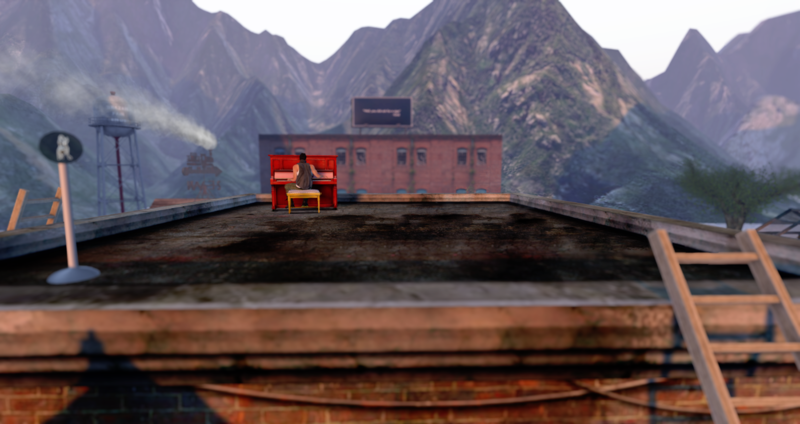 That’s a very good point, actually: there’s a taste for dacaying environments, but not for aged avatars in SL. At first sight, without elaborating much, I think it reflects a broader aesthetic judgement: even in the atomic world, one may see that ruins and declining places are sometimes treated as aesthetically interesting spaces, while older people are generally seen, in our society, as uninteresting beings in many ways (i think a lot of it has to do with the representation of sexuality, sexual drive and sexual desire, which are generally associated with youth). Notice that this is true about older people, but not necessarily about all “declining” people (in the sense of being submitted to time): sometimes marks of situations that people passed by, such as scars, are considered aesthetically interesting. 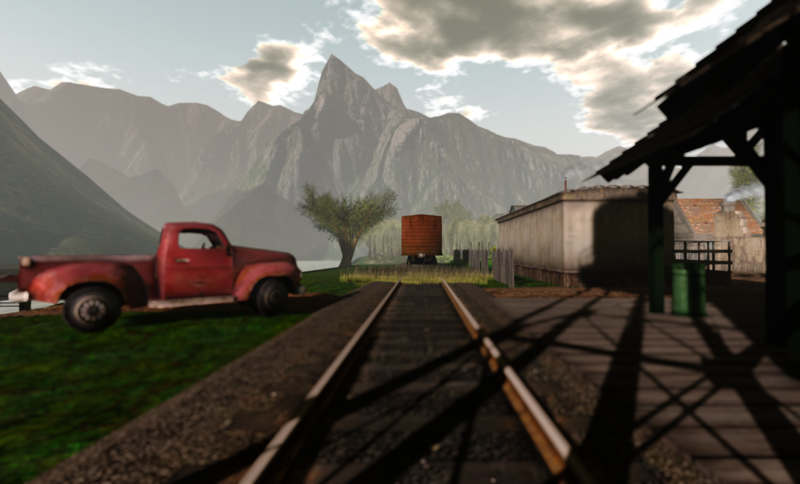 Anyway, and I think mesh contributed to it, it’s difficult, today, to have an aged avatar in SL. I, myself, try not to look like an 18 y.o. guy – it’s ok that some people enjoy looking like that, but I don’t recognize myself as an 18 y.o. one, at least not most of the time. In order to achieve that, and I know I’m only partially successful, I have to resort to beards, body hair and other elements to hide my skin a bit – cause my bare skin (and all the skins I have found up to now that can be applied to my mesh av) makes me look younger than I’d like to. Our appreciation for decay and ruins seems to be a relatively new fashion……… a few generations ago people simply treated ruins as another source of building materials. Or as places to be avoided for fear of bad spirits and lurking evil. I wonder if our taste now for the aged and decaying is more about our fears for the future and our rose coloured memories of a past that seemed somehow safer and happier. Decrepitude as Safe Haven perhaps. I’m not sure the advent of mesh body parts has altered the possibilities of appearing more aged. The older skins for mesh seem to be pretty much the same as they were for the system avatar. Perhaps if more were available more people would use them, but as there are so few the possibility of bumping into one’s ‘twin’ are quite high. Un-aged skins are far more plentiful – and customisable – and therefore the chances of meeting ‘yourself’ not so high. I have always thought that how people present themselves as avatar is maybe more about how they think of themselves as Being. Sexuality comes into those choices – in any world. But it’s also about freedom to be who you Are rather than who Time, or genes, or Chance has dictated you be. For some, appearing less aged is a truer representation of Self. For other’s looking older is about maintaining a dignity and being true to ones atomic self. With so many shades and nuances between either stance. I agree that all that has to be considered and the phenomenon is not an easy one to understand. Just as a side comment, I’d like to further develop what I mean by mesh having reduced our options. Take my case: I have a TMP mesh body (i do not use a mesh head). When I was using the system body, I had plenty of stores to choose from when I wanted a new skin. Now, try to look out there for a male skin for the TMP body: the options are really reduced. Maybe they’re not so reduced for the female body, I don’t know, but they are for the male body. Also, when I try to change some parameters for the body, it responds in a very limited way (for that matter, especifically, Adam mesh body responds better, but I have some issues with the skins I’ve seen for Adam, which are restricted in number as well). I think it’s long been an issue in SL that men’s skins and clothing has lagged behind those for females. It’s being addressed now of course – but it has a very long way to go. Having shopped extensively with my Partner I have been shocked at such little choice, and found the process to be time consuming and sometimes extremely complicated – unnecessarily so to my mind. TMP being one of the chief culprits, and possibly why there are so few choices for it. And with such little help out there for males I find it astonishing that some of you look as well as you do – full marks for dogged determination!